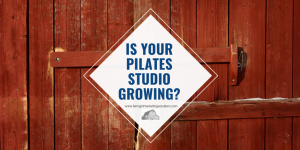 Is your Pilates studio growing or dying? When you look at your profits as a studio which direction are you headed? There really isn’t a stand still point in business. Either you are growing and actively taking steps to grow OR you are headed toward losing money and going in the other direction. If you are needing to add something to the list of things you are doing to grow your business you should know that once studio owners create a regular practice of blogging they usually come back and tell me it is one of the most time effective (yep that’s what I said!) and most effective ways to continually grow your business! You write it once and it continues to work for you over and over again! You can send people to the blog when it answers a question for them and you can repost it at various times throughout the year for social media content. You actually don’t even need to take a lot of time to “write it” … don’t let that part scare you off! Your content doesn’t need to be fancy… it can be things like a staff’s bio, a description of a particular class on your schedule or an interview with one of your clients! 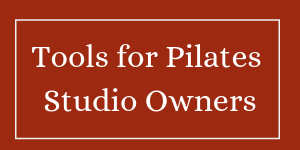 My “Anatomy of a Pilates Studio Blog” Webinar will give you an easy “formula” to follow when writing a blog. I’ll also give you 12 suggested blog topics – so you have something to work from for your first 3 months of blogging! You can attend this webinar at your convenience, as long as you register before the scheduled webinar date! Check the website for the next scheduled webinar! Previous Post: « One of my favorite Canva tips!